For all that we in retail accomplish remotely in our day-to-day, there’s nothing like a live event to remind us of how important it is to see and hear for ourselves, what’s new out there. What’s more, it’s a chance to collectively discuss the major challenges we’re facing ahead and reflect on progress made since we last came together. NRF Big Show, which wrapped yesterday in NYC, is a chance to do exactly that. The 35,000 steps I logged over the past two days walking the expo are testament to the rate at which retail technology and its offerings have exponentially grown, and it can prove difficult to take it all in and simultaneously differentiate between all the different solutions out there. There’s the enterprise-wide solutions and then there are those who are more focused on a particular business function or need. Nonetheless, as I walked the floor, I found a few things that gave me a renewed sense that we’re still an industry connected to each other and the people we serve. 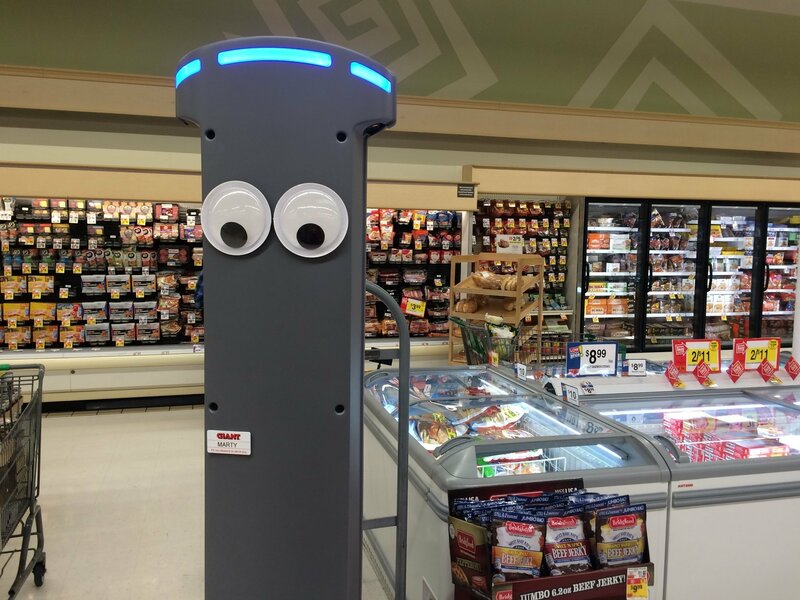 Whether it’s picking and checking stock or providing wayfinding to shoppers, robots really had their moment at Big Show. From Badger Technologies' robots who “address out-of-stocks, planogram compliance, price integrity, and audit and compliance issues,” to Hease Robotics whose robot named Heasy (no relation to Yeezy) “generates 20 time more interactions compared to static kiosks,” many of the mundane and time-intensive tasks of retail are being increasingly addressed through AI and robotics. As we think about productivity being a central focus for retail in 2019, we’re curious as to whether robots will provide meaningful cost reductions and improved customer conversion and satisfaction. The thing is, despite the fact that we can shop and buy with little-to-no human interaction, we still like shopping in stores, at least in those who do it right. They serve important functions: to ask questions, touch and feel products, and be inspired by the visual backdrop and product curation. While the cashierless store is set to upend the traditional physical retail space, there will remain many more stores staffed by humans. And so for the store staff who often take the brunt of the customer dissatisfaction and corporate cost-cutting, I want to give a special shout-out to the vendors who exhibited technologies to make their lives easier. Tulip Retail “empowers store workers to elevate service and personalize customer engagement” with mobile apps that help staff gather customer info, make recommendations, build wishlists, and place omni-channel orders. On the aforementioned theme of productivity, Workjam’s Digital Workplace technology “brings the workforce together through agile scheduling, transformative communication, and experiential learning.” With in-app messaging, an easy scheduling feature, and built-in staff surveys, it keeps everyone on the same page, incentivized to give their two cents, and able to make changes on the fly. We hope technology providers the likes of these two continue to bring attention, and more importantly, deliver the tools to one of retail’s most under-appreciated assets, its salespeople. My desire to not come across as a luddite requires me to talk, at least at short, about some of the interesting self-checkout technologies on display at NRF Big Show. 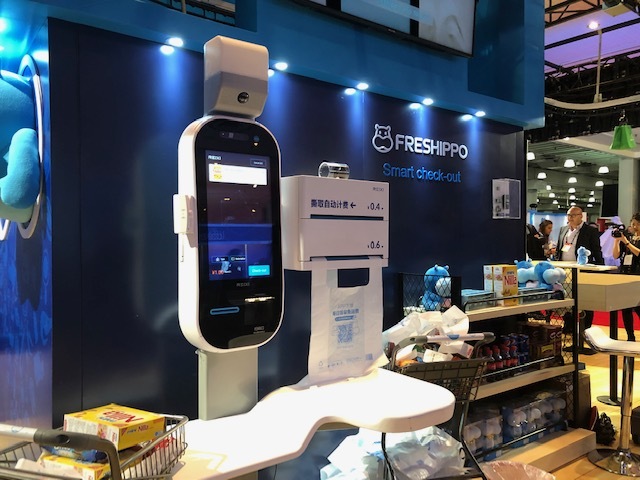 Exhibit A: Shanghai Hema Networks, who operates Alibaba’s Freshippo (formerly Hema) stores, showed us their take on automated checkout (and yes, there were more robots adjacent, delivering restaurant food orders), all as part of Alibaba’s “New Retail” model. Exhibit B, located upstairs in the Innovation Lab, was where you could see other cashierless technology, including the smart carts from Caper that are “powered by deep learning and computer vision, so items are instantly detected as they enter the cart.” See you later checkout line. 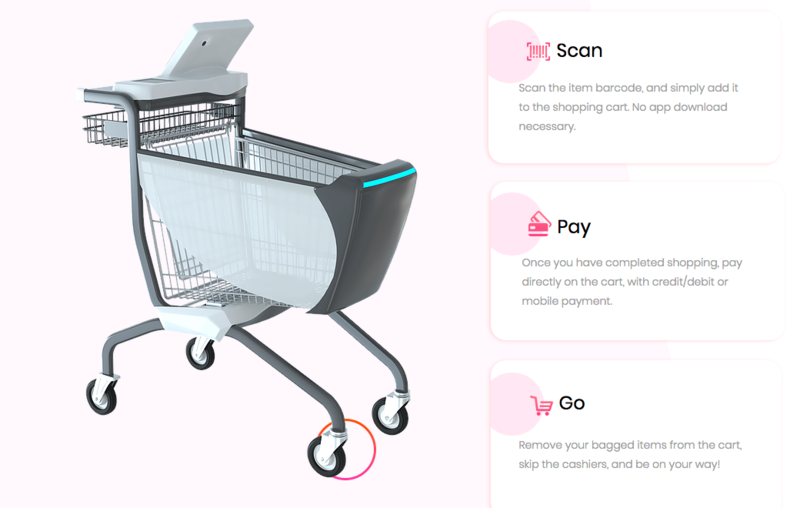 All kidding aside, these technologies are indeed the future of retail, and these specific iterations of this technology will hopefully be instrumental in nudging the larger retail industry forward in adoption. So there you have it, a biased reel of NRF highlights. See you at Shoptalk in March!